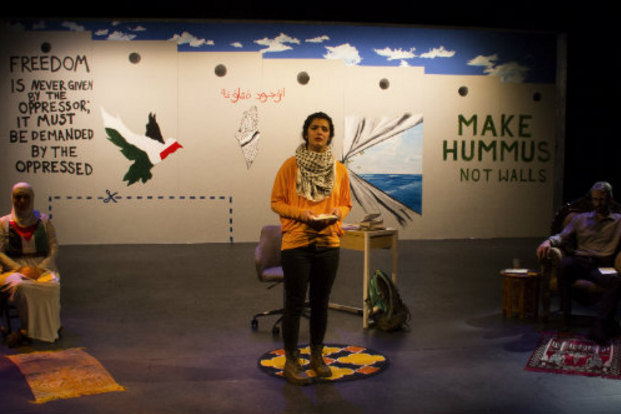 Palestinian playwright and poet, Summer Awad’s latest work, Walls: A Play for Palestine, was presented to audiences at The New York International Fringe Festival. The play draws on her own experiences as a second-generation Palestinian immigrant. 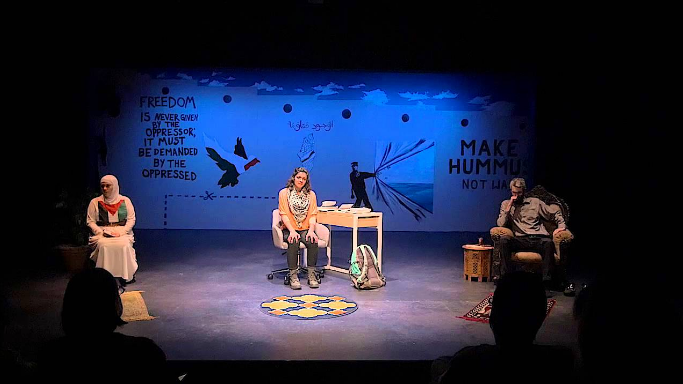 The play focuses on both personal and political aspects including the Israeli occupation of her homeland. Awad’s aim to bring Palestinian’s true life stories to light led her to a research internship where she would be able to conduct interviews at Palestinian refugee camps. 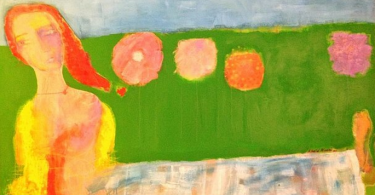 After traveling through the Middle East, she eventually realized that it was, in fact, her own story that she was so compelled to write and share. It was then that her life, growing up in Tennessee in a family with a conservative Muslim father from the West Bank, became the foundation for her play. As she wrote her script, Awad explored her experience growing up as a Palestinian-American, in particular, her relationship with her father who would never allow her to date, go to the prom, or even talk to boys. In her narrative, she managed to combine both personal and political aspects of life as she wove her Palestinian history and culture into a stage production. Her production includes mostly poems and monologs which bring three characters to life. The main characters are a young American woman, her father who is a conservative Muslim man, and a woman she referred to as “Mother Palestine,” the female embodiment of her homeland. The message which Awad hopes to bring across through her production is for Palestine to be free from Israeli occupation. Even though it brings across this important political messages topic, she feels that all second-generation Americans should be able to relate to this play in one way or another. She had many people from different cultural backgrounds as immigrants approach her saying that it was something they could relate to somehow. It is often difficult when parents try their utmost to fit in with the immigrant community which they become a part of while still trying to live in an American community. Many young people have found, as a result, that their parents have often been very strict with them so as to uphold a good reputation for the family. In cultures which have more defined gender roles, this can be particularly difficult for women, who are often not able to attend certain events and engage in the society as much as they would like. The young woman in the play portrays such a character. Her father does not approve of her going to the prom, yet she still tries to figure out a way of being there. She also buys a two-piece bathing suit, which her father clearly insisted she not do. Awad says that these minor things are often a problem for immigrant parents as their reputation within the new community is at stake, and should any relatives back home find out about such things, it would be disastrous for their reputation. 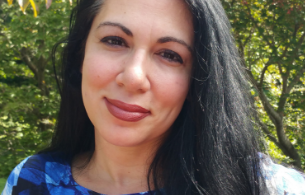 She says: “My main goal with this particular play is to tell the story of the Palestinians who don’t get a voice in the Western media.” Awad hopes that her onstage productions will show audiences a glimpse into an immigrant’s life in America and also provide a platform for Palestinians who have been underrepresented.